Arena tokens will be used on the Arena platform and can be traded on exchanges. There will be a finite supply of 14 million tokens and there will never be any inflation. This is the maximum supply and there will be no inflation. 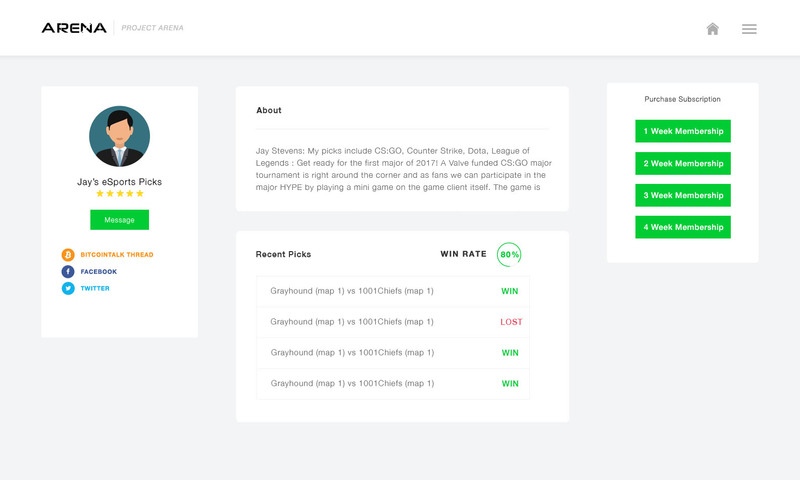 Arena is a platform where members and experts will sell eSports, sports, and cryptocurrency picks. Members and experts will have social profiles they can use for selling and buying information. Arena tokens will be used to pay for experts and members who sell eSports, sports, and cryptocurrency trading picks. The token will also be used for bounties, trading, and sponsored eSports competitions.